Seth Says, “Christmas is right around the corner and I know I’m on the nice list!”. Also, meet Brittany and mark your calendar for these 2017 dates! All of RSM will be gathering to watch a Movie! Go HERE to cast your vote on what movie we will watch! This is Brittany Krietemeyer and we love her already! She will be joining our team in January as a Youth Minister. Brittany just graduated from Auburn. 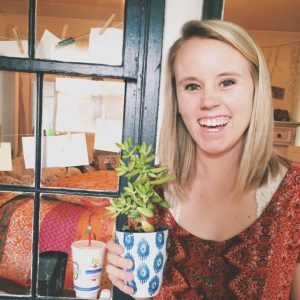 Brittany has a passion for Youth Ministry and will be bringing a great history of experiences and a fun personality that is engaging and understanding. She will be working with both Middle and High School students and will be very influential in our girl’s ministry. She is a particle accelerator enthusiast, loves talking birds, and her favorite food is bananas. She has beautiful handwriting and likes to make posters! Please join us in giving Brittany and big RSM welcome! for these RSM Dates! It’s time to pull out the new calendar and write down all the cool stuff coming up next year!